From healthy food campaigns to the tax on sugar, the movement towards healthy food has pretty much been on the rise. 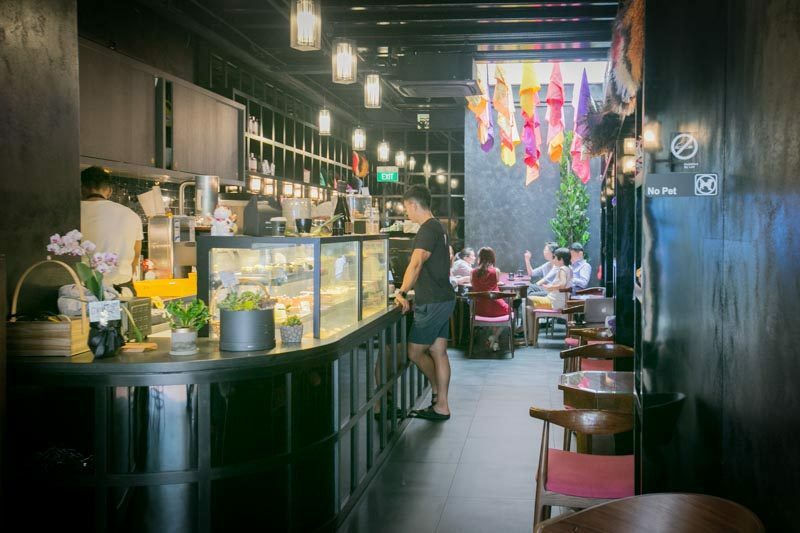 Located along Duxton Road, Duxton41 serves desserts rich in protein and sugar-free that will let you indulge without the guilt; it is also diabetic-friendly too. As with healthy food, the first thing that comes to mind would be food that is bland and tasteless. 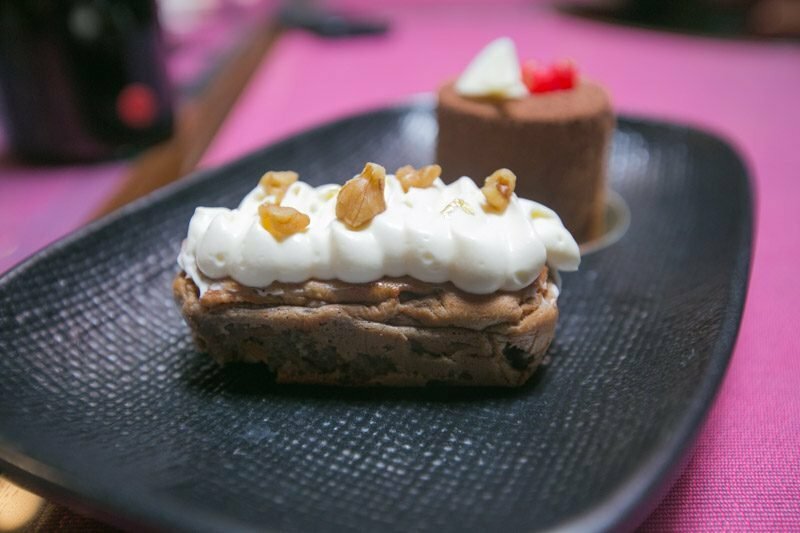 But, I was in for a surprise as Duxton41 aims to remove all that stigma with their desserts. Adorned with black walls and dark furniture, the interiors are minimal and I love the dramatic vibes when the natural light shines from the ceiling towards the end of the cafe. 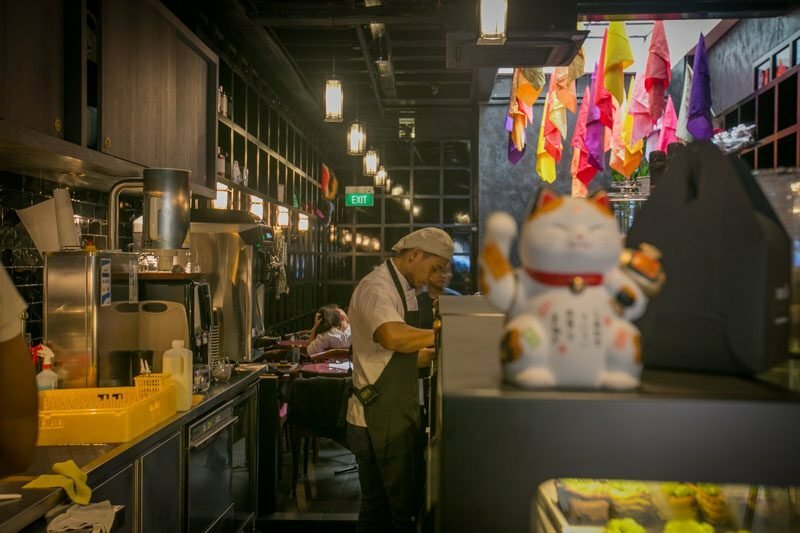 Chef Wyatt Tan is the head chef and co-founder of this humble new cafe. What started as a hobby and passion for baking healthy desserts soon evolved into a career. Having joined numerous fitness model competition, Wyatt discovered there is a market for health-conscious consumers and that is how Duxton41 was born. The desserts here are too pretty to eat! 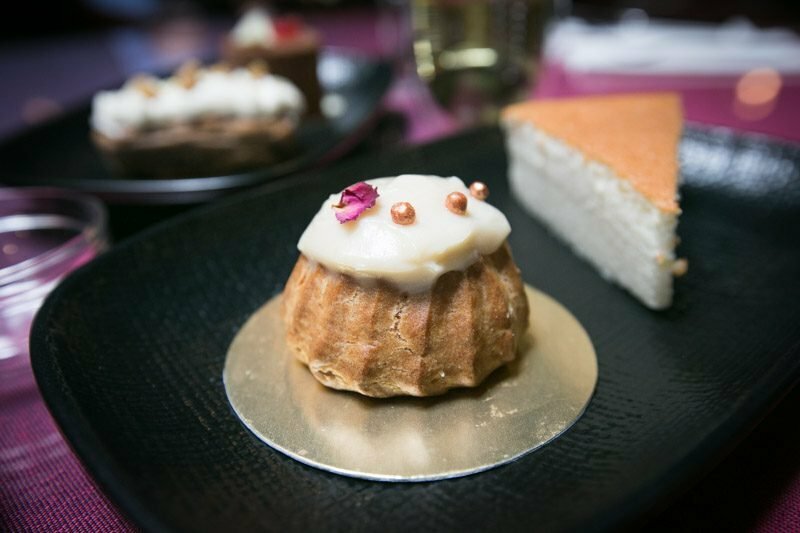 We started with the Muscle Profiterole (S$4.25), a dessert I would enjoy after a hard day at the gym as isolate whey cream filling is added to give you the much-need protein. What wowed us was the distinct flavour of salted caramel filling, which had the right balance of mild sweetness and we devoured it easily. The pastry on the outside crumbles lightly, adding a crunch to the soft and chewy interiors. Calling all chocolate lovers, you have to try the Ultimate Fudge Cake (S$8) as I can vouch for how good it is! Sugar-free chocolate is used to make this dessert, and chocolate whey protein fudge is added in for your gains, bro. Wyatt told me that it is not easy to work with protein in dessert and I applaud him for that. This was a clear winner as it is as smooth as velvet and melts in your mouth like cotton candy. 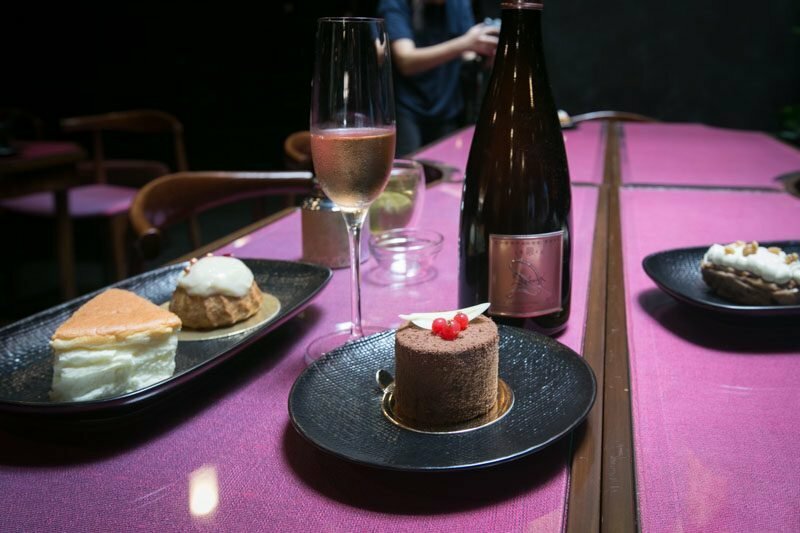 If you’re up for some bubbly, try it with wine pairing, we had a rosé champagne and was surprised by how it complemented each other — the drink enhances the taste of the chocolate and at the same time, the fizziness acted like a palate cleanser. We were expecting rainbows but the Tropical Rainbow Éclair (S$4.50) gave us none of that. 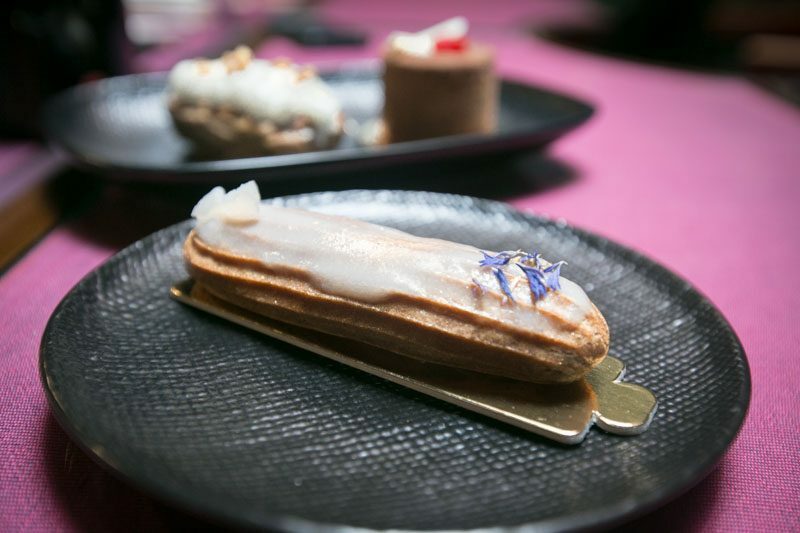 The éclairs’ flavours and colours are always changing depending on the fruit of the season or what is available. This time around, we had the longan filling and frosting. It was a bit of a letdown as we couldn’t taste much of the longan and expected it to be sweeter; if I wasn’t informed it was longan, I would have a hard time figuring what it was. We had mixed reviews for the Guilt-Free Mini loaf Carrotcake (S$5), I would prefer it to have more of the carrot cake sweetness and texture, but my colleague likes this version and insisted she never had carrot cake that was this mild yet addictive at the same time. The consistency and texture were akin to a mini loaf and the frosting was creamy and not as sweet as I thought it to be. When you’re here, do try it out and let us know which do you prefer. I had the Ice Kachang Tea (S$4.50) to accompany my desserts and I immediately fell in love with it. Packed with safflower, forget-me-not-flowers, and dried grapes, the subtly sweet fragrance went well with the desserts. 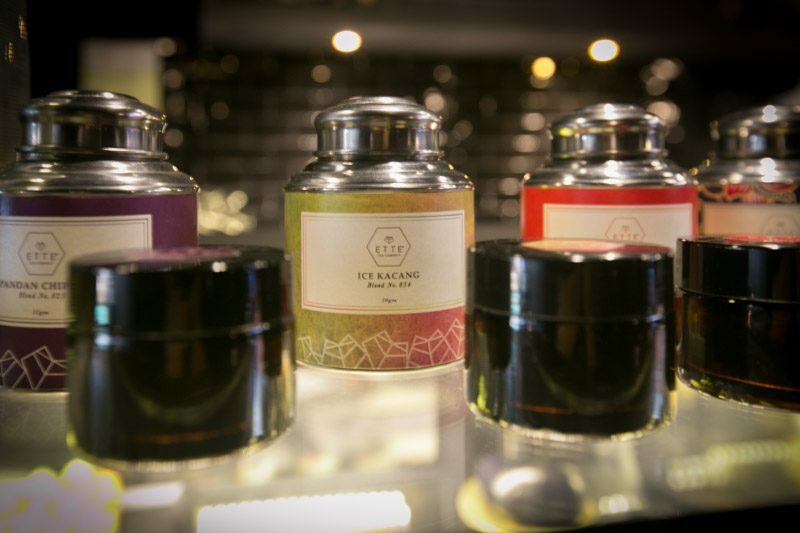 Next time you’re here, try the selections of tea that they have in store, I heard the Pandan Chiffon Tea is good too! 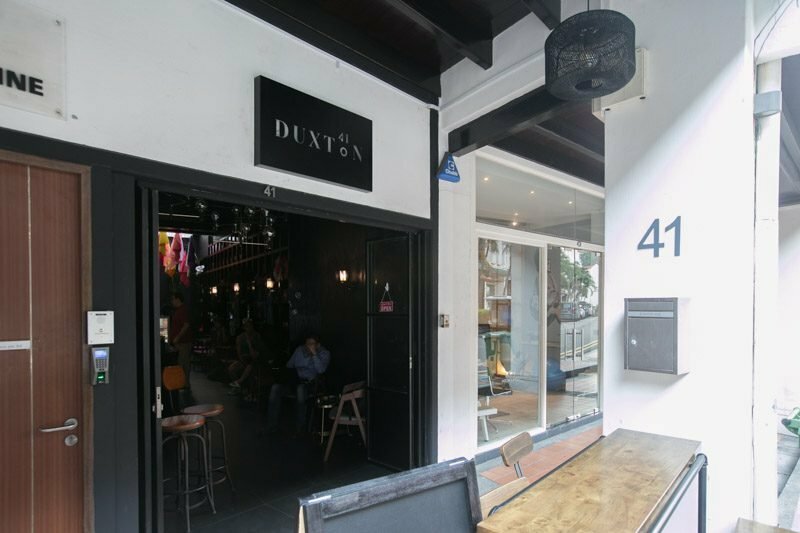 Finding healthy desserts that are delicious and sugar-free is similar to finding a parking space in Arab Street, difficult — but we’ve managed to find Duxton41! Given that this cafe is newly opened, I can see it potentially becoming more popular and busy in the near future. 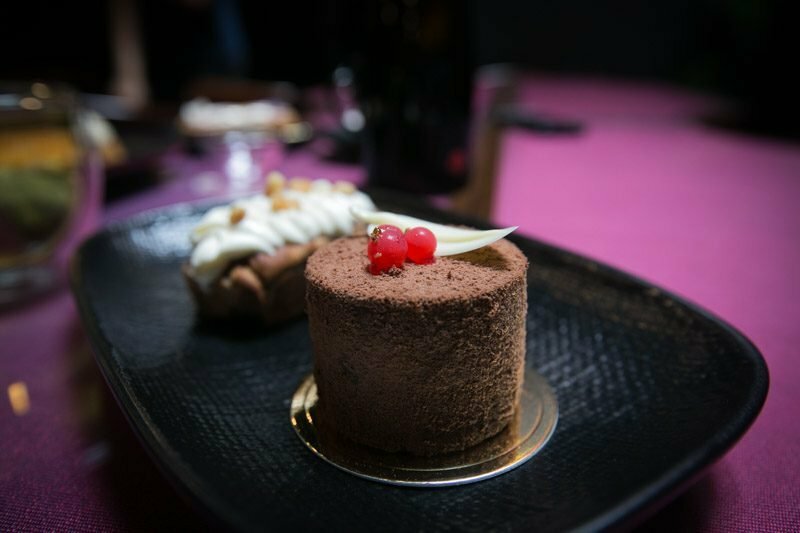 I was blown away by the desserts and I would love to come back another time to try out the other seasonal items.